Unlike small mall food courts in America that mainly serve cheap fast food, the food courts in Bangkok’s malls are ginormous, usually taking up an entire floor of the mall and cater to hiso (high society) people. They have some of the best international food found in Bangkok, but at international prices. The first burger my Thai Hubby had was from the fancy Burger King there, and it cost him 250 Baht, which is equivalent to what his grandma could spend on one week’s groceries. My Thai Hubby likes burgers and steaks way more than I do, probably because it was such a luxury to him growing up. I would always chose Thai food over a burger any day, but a Thai burger? I would definitely go for that, and of course so would my man. 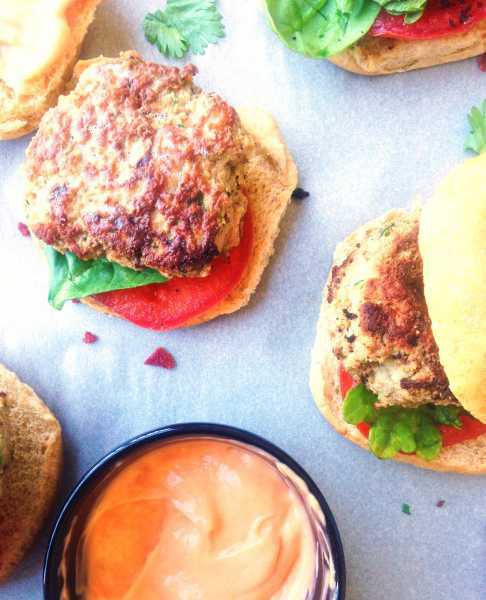 That’s why I decided to make Thai Turkey Burger Sliders the other day, so my Thai Hubby could get a healthy burger, I could get some Thai fusion, and my kids could get a cute burger that’s easy for them to hold. The best of all our worlds combined! It’s like a superpower! I’m not quite sure why he asked me that, since I don’t even know how to turn on the grill, but maybe he believes in me more than I do. And he agreed it was cool and that the flavor was perfect. And my kids loved dipping them in the Sriracha mayo and asked for more! Score! Make the most of those last summer days by grilling these today and savor the best of both Thai and American worlds! 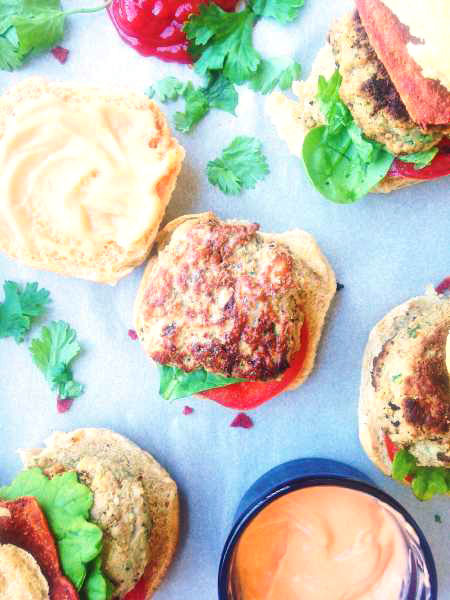 The perfect fusion of Thai and American food, a healthy Thai Turkey Slider jam-packed with flavors like ginger, green onion, garlic, cilantro and Thai chili pepper if you are up for it, and topped with an easy Thai Sriracha homemade mayo! Add the green onions, garlic, cilantro, and shallot to a food processor, and pulse until finely chopped. Add them to a large mixing bowl, and also add the ground turkey, ginger paste, fish sauce, oyster sauce, sugar and egg yolk. 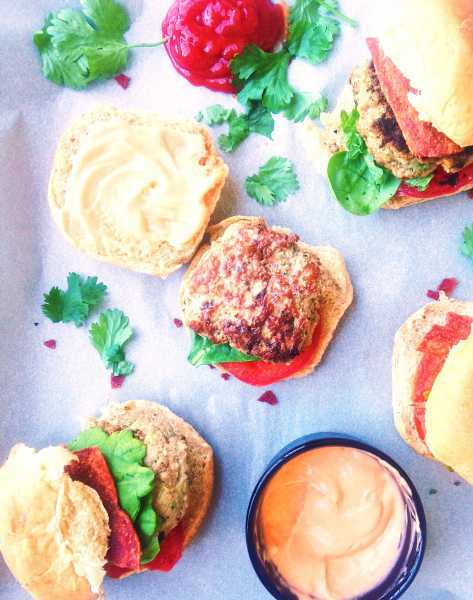 Make into patties the size of a slider bun, or make regular sized turkey burgers if that's your preference. If you grill them, turkey sliders cook fast, so make sure you really watch or you might end up with dry, burnt ones like we did once! It should only take a few minutes per side to grill. If you are using a cast iron, add a few teaspoons of cooking oil of choice, over medium-high heat. Make sure the pan is hot before putting the patties in to help give them the grilled look. Add around six or so burgers to the pan. I had to do two batches to not overcrowd the pan. Cover the pan, and cook for 3-4 minutes until browned, and flip, and cook until it's cooked through and no longer pink. To make the Thai Sriracha Mayo, mix the mayo and Thai Sriracha sauce to taste. Thai Sriracha isn't as spicy as normal Sriracha, it's more sweet and spicy, so mixed with the mayo there is a slight heat, but it's at a kid-friendly level, at least for my kids. Feel free to use regular Sriracha if you want it more spicy. Serve with your favorite burger toppings! We like bacon, tomatoes, power greens and avocado! I recommend using ground turkey that isn't super lean to help your burger stay moist. And if you want to sub ground beef instead, go for it! Your site and recipes have been a breath of fresh air!! I love your love story and watching your family grow – by the time I got here you were at 3 littles. Thank you for these awesome recipes!! 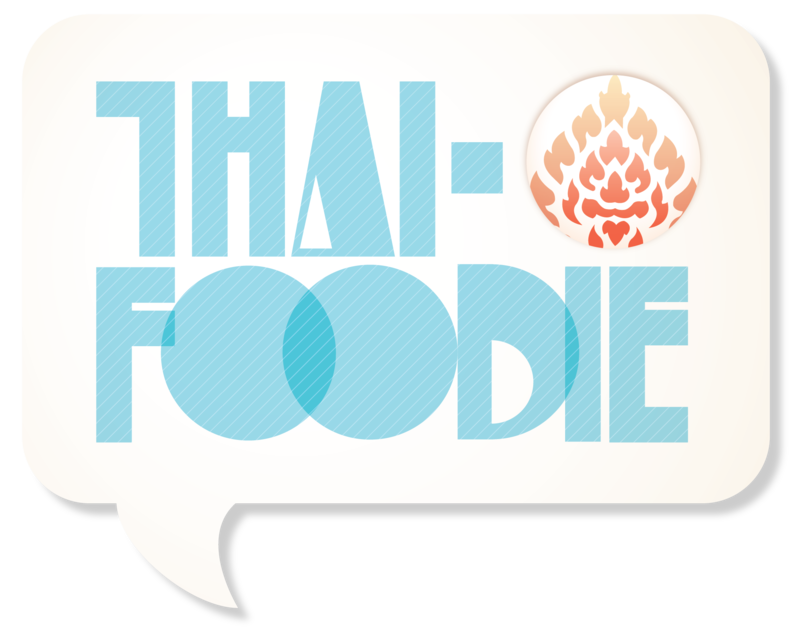 You caught me, and I’m really stuck on a Thai kick right now! We’re loving it! 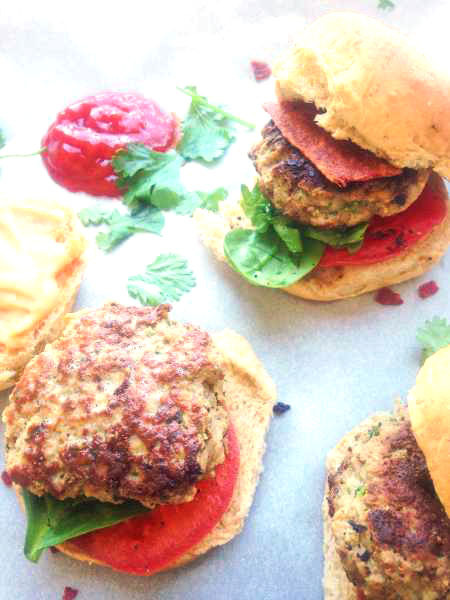 The recipe for Turkey Sliders….AWESOME! !